From a find between 2008 and 2011 by local prospectors on a not well known, until today, mineral locality. 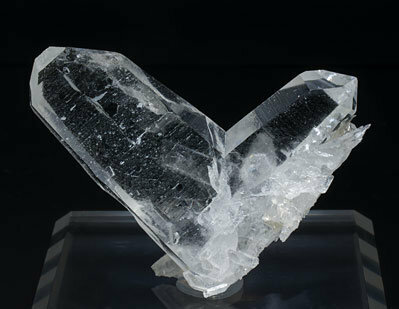 Floater and very flattened Japan law twinned crystal with very sharp crystal edges, transparent, colorless and bright. From a find between 2008 and 2011 by local prospectors at a not well known, until today, mineral locality. 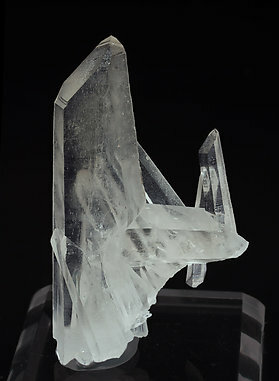 Group of crystals, one of them clearly dominant, elongated, with an extraordinarily flattened shape and the Japan-law twin that is very well defined on the terminal faces. 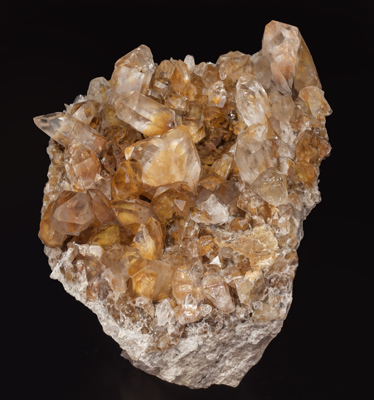 It is bright, between transparent and translucent and has reddish shades in some areas due to iron oxide inclusions. 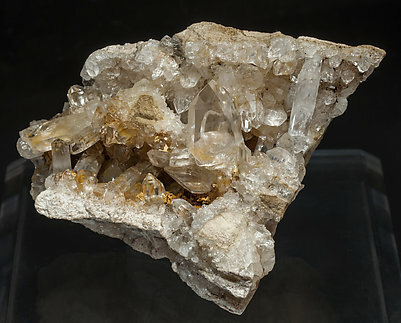 From a find between 2008 and 2011 by local prospectors on a not well known, until today, mineral locality. 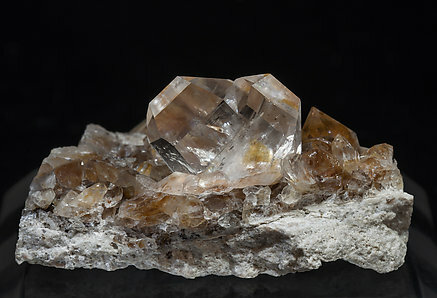 Group of crystals, one of them clearly dominant, with a very well defined Japan law twin, with very sharp crystal forms, clear, colorless and bright with reddish shades in some areas due to iron oxide inclusions. From a find between 2008 and 2011 by local prospectors on a not well known, until today, mineral locality. 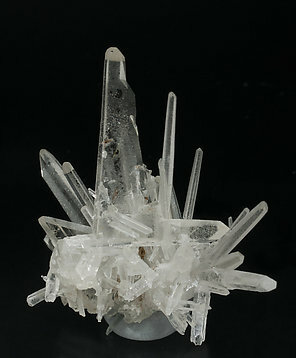 Group of crystals, one of them clearly dominant, with a very well defined Japan law twin, with very sharp crystal forms. They are clear, colorless and bright with reddish shades in some areas due to iron oxide inclusions. From a find between 2008 and 2011 by local prospectors on a not well known, until today, mineral locality. 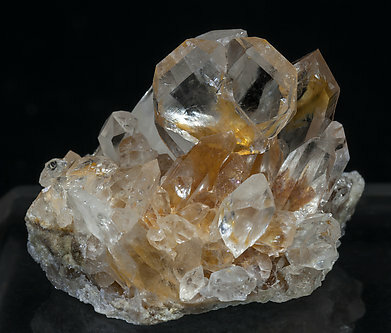 Group of crystals, one of them dominant and very aerial, with a very well defined Japan law twin and very sharp crystal forms. 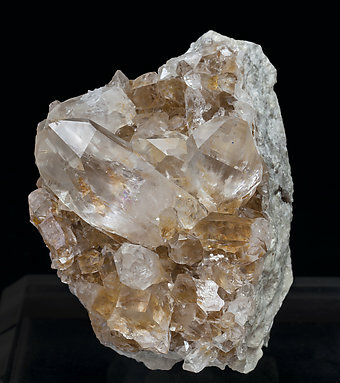 It is transparent, colorless and bright with reddish shades in some areas due to iron oxide inclusions. Very sharp Japan Law twin that is typical for the locality, with very well defined faces and edges, very transparent and bright and with an intense and uniform smoky color. The sample is with a label of Ron K. Sohn Minerals that we’ll send to the buyer. From a find between 2008 and 2011 by local prospectors on a not well known, until today, mineral locality. 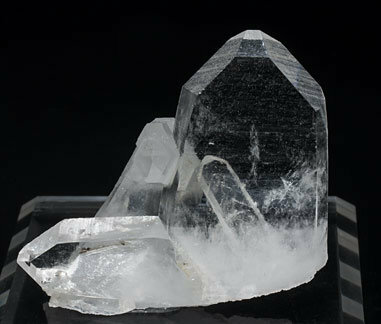 Group of crystals, one of them well centered on the sample, flattened, with the very well defined Japan law twin and very sharp crystalline forms. 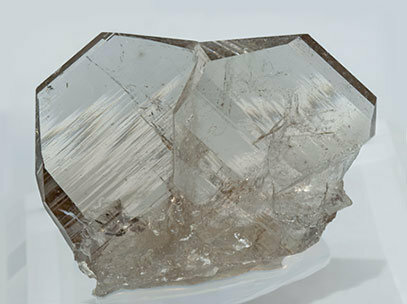 It is transparent, bright, colorless and with reddish shades in some areas due to iron oxide inclusions. A novelty at Tucson 2015. 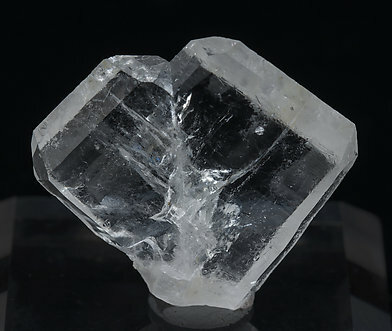 Extraordinarily sharp Japan Law twin with very well defined and transparent crystals. 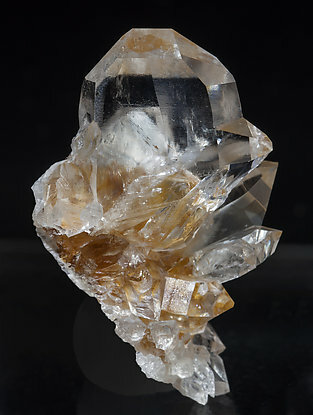 We note that the Japan Law twin, already rare, is even more rare in Alpine type crevices where this Quartz is formed. The sample is a floater with a recrystallized base. 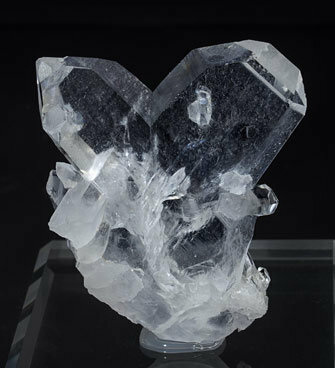 The specimen has been published in the magazine ‘extraLAPIS’ on page 26, number 53, "Zwillinge"
Group of very sharp crystals, one of them clearly dominant, very aerial and with a very well defined Japan law twin. 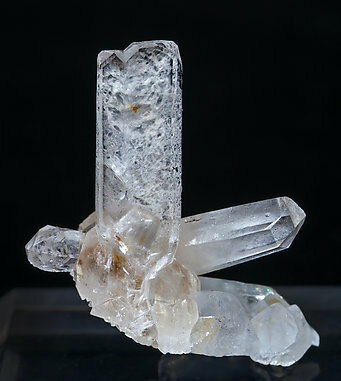 Group of very elongated and sharp Quartz crystals. They are transparent and one of them shows a very well defined Japan law twin.